For fast performance and reliability, WD Green SSDs boost the everyday computing experience for your desktop or laptop PC. The WD Green SSDs help to provide a performance boost, allowing users to browse the web, play a game, or simply boot the system in a flash. They are lightweight and shock resistant and have no moving parts to help keep data safe from loss in the case of accidental bumps and drops. The WD Green SSDs are among the lowest power consuming drives in the industry, which means with less power used, your laptop will runs longer. 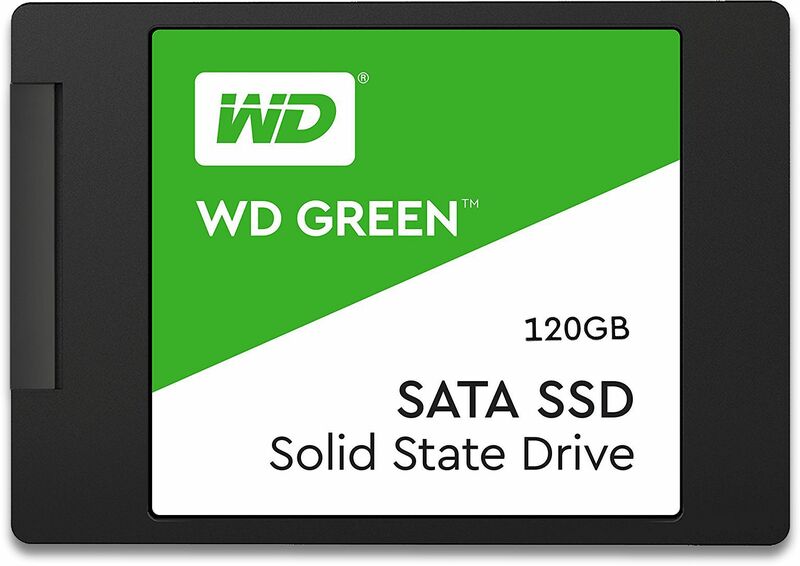 Compatible with most desktop and laptop PCs, WD Green SSDs are available in 2.5" for simple, worry-free installation/upgrading. Every WD Green SSD includes a 3-year limited warranty so you can confidently trust WD for all your data needs.